Since B&NES Placemaking Plan was adopted in July policy SCR1 which requires large developments (10 or more homes) to deliver properties which out-perform minimum Building Regulation carbon emissions by 10% delivered by renewable technologies, we have been objecting to planning applications which don’t meet this policy. Almost all of the planning applications made by developers since the adoption have initially failed to meet the new requirements, largely by ignoring their existence. 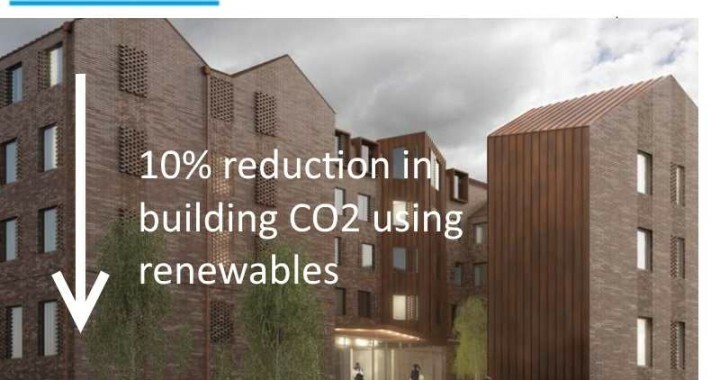 Transition Bath have objected to all the applications which fail to comply as we feel that in order to meet the UK’s carbon commitment’s all new buildings should ideally emit as near to zero carbon as possible. Luckily most of the developers with encouragement from B&NES Council’s Planning Department have resubmitted the energy component of their applications following our objections, largely complying with the new requirements.